Have questions? Contact an expert. Portfolio Opportunities: Opportunities to adjust your product portfolio and/or your geographic balance to respond to changing client needs and market norms and/or to respond to gaps in the market. Carrier was considering opening office in a certain country. Carrier required insight to make an informed decision. 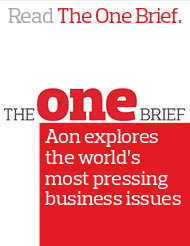 Our Aon Inpoint service delivery approach starts by listening to your biggest challenges and understanding your unique needs.